Enter critical care facilities and countless more in crisis need help as the experience illness, trauma and sometimes death. Uncertainty, fear, pain and insecurity affects each of them as they struggle to recover and heal. You are the champions who can make an immediate difference in their lives. Under the guidance of the Johns Hopkins Children’s Center, Courage Unlimited has developed creative solutions to help children convey information needed for their treatment, while giving them hope and bolstering their courage. 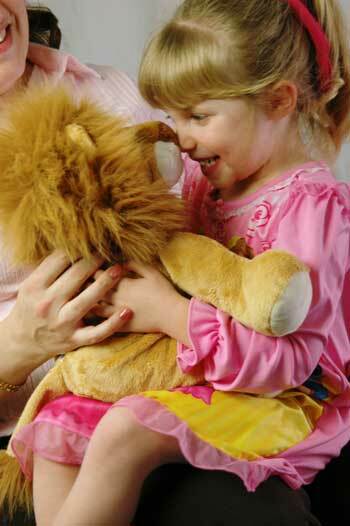 Duffy the Courage Lion, the illustrated books and audio CD of Courage Pockets all work in combination to entertain and inform children to help them cope.